Tan Family Chronicles: Shawna loves books! Shawna loves to read. Every night, while her brothers are watching tv, Shawna would also watch for a little while, then she'd get bored... She'd turn to me and say "Mummy, room!" - pointing the way to the room. "Read. Room. Mummy!" And so, I'd quickly set the limit for the boys ("Isaac, Asher, when this episode ends, no more ah!") And off to the room, Shawna and I would go. Shawna still at the stage where her concentration span is not very long, so we're still reading relatively short books, or books with very few words, or picture books. 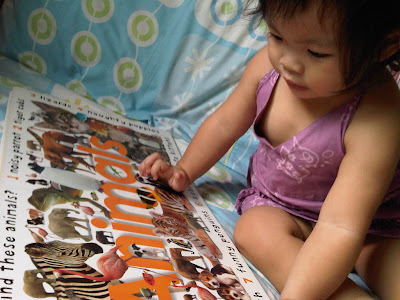 Currently, all her favourite books happen to be board books. Which is good, coz they're hardy enough to stand up to Shawna's rough handling. 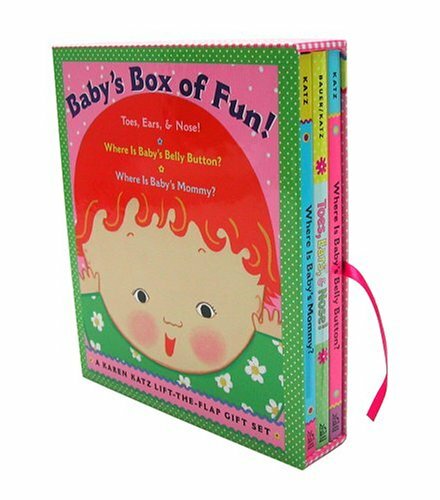 Her favourite set of books now are the Karen Katz Baby's Box of Fun set of three books which we have. 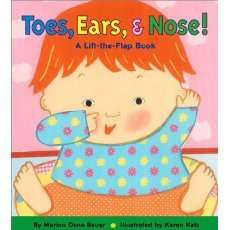 They're a really simple lift-the-flap books which teachers the baby about their body parts ('Where is baby's belly button? Under her shirt!!!') The board pages are great, but the flaps can't escape the Twin Terrors. Just this morning, Shawna tore off another flap. 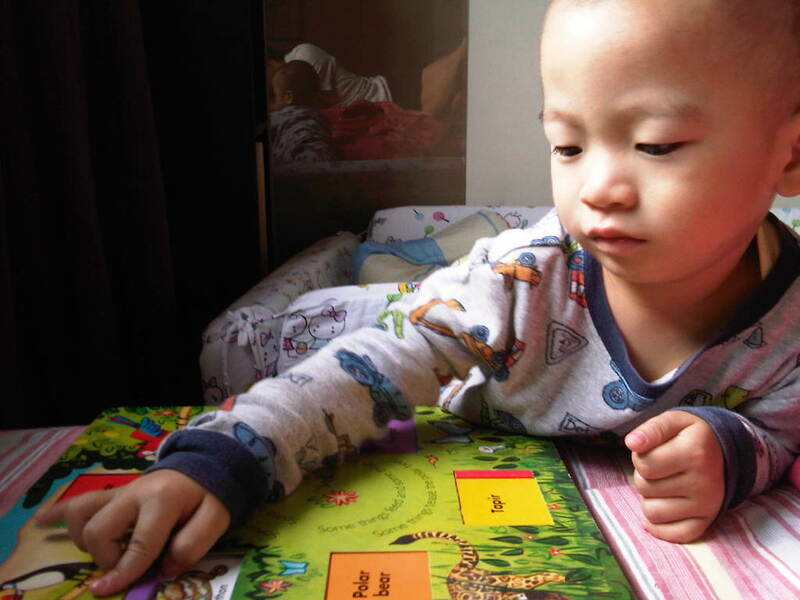 Me: "Okay, you go get something to read, while Mummy go and bathe. 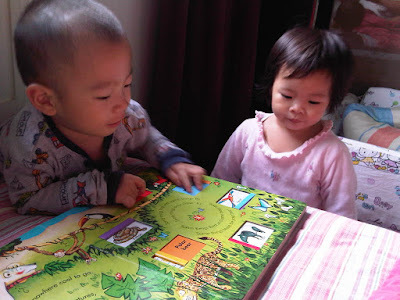 When I am out, I will read to you." Isaac:"Okay, I will read the babies' books now." Me:"Babies' books? Why are you reading the babies' books?" Isaac:"Because some of them are nice! That's why!"